Water quality monitoring, whether for environmental studies, research or regulatory compliance is an operation that can benefit from instruments that automate or otherwise increase the efficiency of sample collection, measurement and data storage. 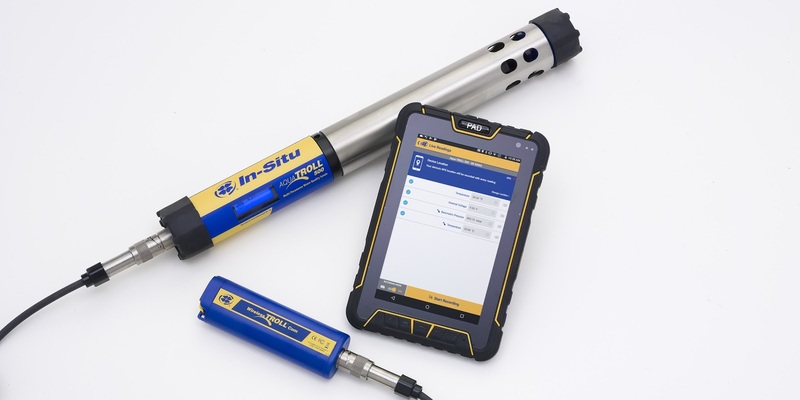 In-Situ Inc., manufacturer of reliable, top quality water monitoring equipment, adds to their already comprehensive line of portable and fixed installation water quality measurement instruments with the Aqua Troll 500. The instrument is a multiparameter sonde that can be used as a handheld device, with data transmitted to a smartphone running the Android data collection app. For fixed installations, the Aqua Troll can be integrated wirelessly into a telemetry system to deliver collected data to remote stations. Numerous features of the instrument are incorporated to decrease the amount of time required by technicians to put the instrument into operation and maintain it. The datasheet included below provides additional detail. Share your water quality measurement requirements and challenges with instrumentation experts. Leverage your own knowledge and experience with their product application expertise to develop an effective solution. Water Quality Wireless Monitoring Instrumentation from Instrument Specialties, Inc.